The Fear of the Lord is a biblical expression that has often been a cause of misunderstanding. But the fear of the Lord is necessary for a healthy spiritual life. It is the beginning of wisdom (Proverbs 9:10). And where there is no fear of God, sin speaks to the wicked in the depths of their heart (Psalm 36:1). 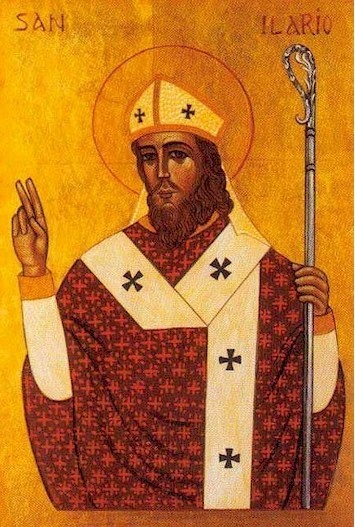 St. Hilary of Poitiers makes a wonderful reflection on the fear of the Lord which is part of the Divine Office for today (Thursday 2nd week of Lent). “Fear” is not to be taken in the sense that common usage gives it. Fear in this ordinary sense is the trepidation our weak humanity feels when it is afraid of suffering something it does not want to happen. We are afraid, or made afraid, because of a guilty conscience, the rights of someone more powerful, an attack from one who is stronger, sickness, encountering a wild beast, suffering evil in any form. This kind of fear is not taught: it happens because we are weak. We do not have to learn what we should fear: objects of fear bring their own terror with them. We must ask for these many ways, we must travel along these many ways, to find the one that is good. That is, we shall find the one way of eternal life through the guidance of many teachers. These ways are found in the law, in the prophets, in the gospels, in the writings of the apostles, in the different good works by which we fulfil the commandments. Blessed are those who walk these ways in the fear of the Lord.